If you are looking for some of the top pizza in town, Mercedes-Benz of Plano knows where to go to grab a slice. Below, we have listed some of the best pizza in Plano, so why not try some of our favorites today. Searching for New York style pizza in the Plano area? Look no further than Ferrari’s Pizzeria. Ferrari’s Pizzeria prides itself on it’s authentic New York pizza, as well as other Italian cuisine options created from family recipes handed down from previous generations. If speciality pizza is more your style, there are several delicious varieties to try at Marinara Pizza. From barbecue chicken pizza to chicken alfredo or eggplant ricotta pizza, there is plenty to explore at Marinara Pizza. Another outstanding choice for pizza delivery in Plano, TX, Kenny’s East Coast Pizza offers traditional Northeastern style pizza in addition to a wide array of Italian classics. You can also stop by in person for lunch or dinner. Fans of wood-fired pizza will love Urban Crust. This trendy spot also features a rooftop bar and patio as well as a space for private parties. You can also cater your special event or rent one of their mobile pizza ovens. 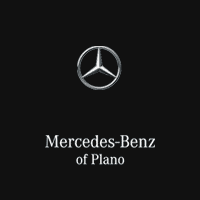 To keep up with all of the latest happenings in the Plano area, turn to the experts at Mercedes-Benz of Plano. Contact us for more information.